Morning Star Academy, a private Christian school in Bonham, Texas, serves toddlers through early elementary age students. 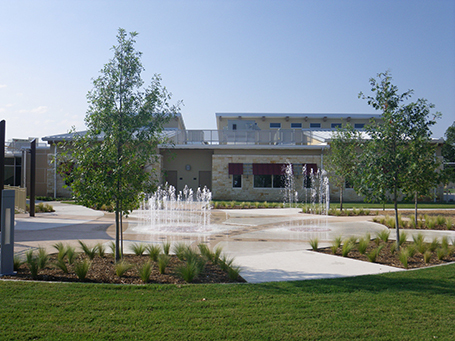 The facility not only offers traditional classrooms but also a beautiful outdoor play area with multi-age playgrounds, splash pad, sensory garden, and vegetable garden components. 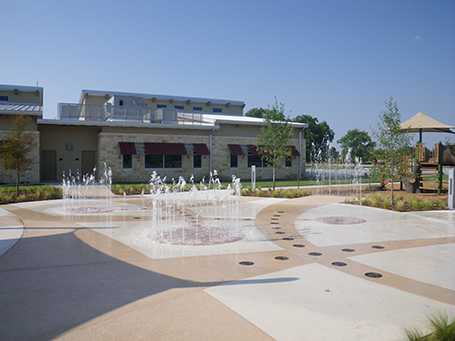 To reduce environmental impact, the site design utilized Low Impact Development principles by collecting and filtering parking lot runoff in bioswales planted with native grasses. The 2,500 sq. 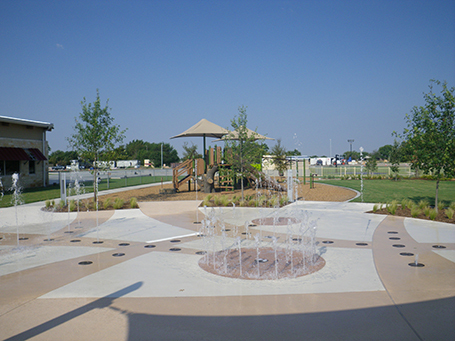 ft. centrally-located splash pad provides various forms of spraying water for a wonderland effect with the visual sights and sounds of interactive water play elements. Splash pads are engineered to be vandal-resistant, safe, durable, and entertaining for children – visit after visit. Moreover, splash pads are barrier free and wheelchair accessible and because there is no standing water, lifeguards are not required.